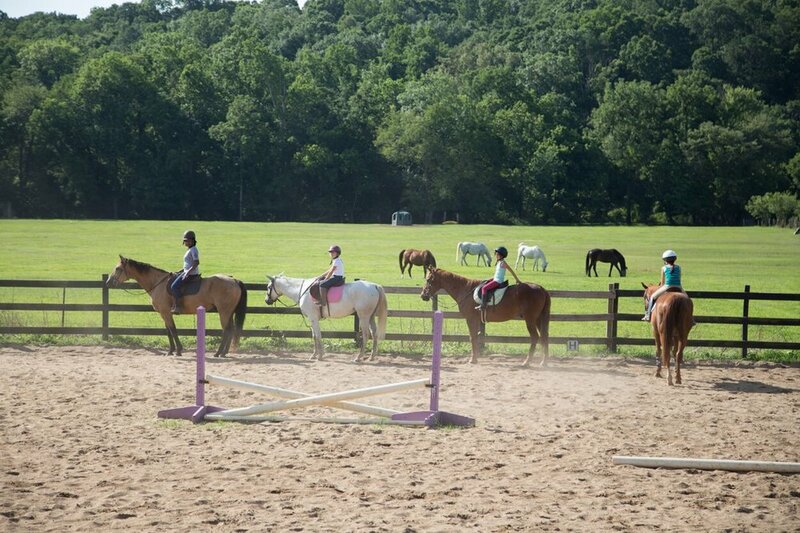 We offer English horseback riding summer camps to ages 6-18 with an emphasis on Eventing. Our camps go over the importance of the relationship between the horse and rider. 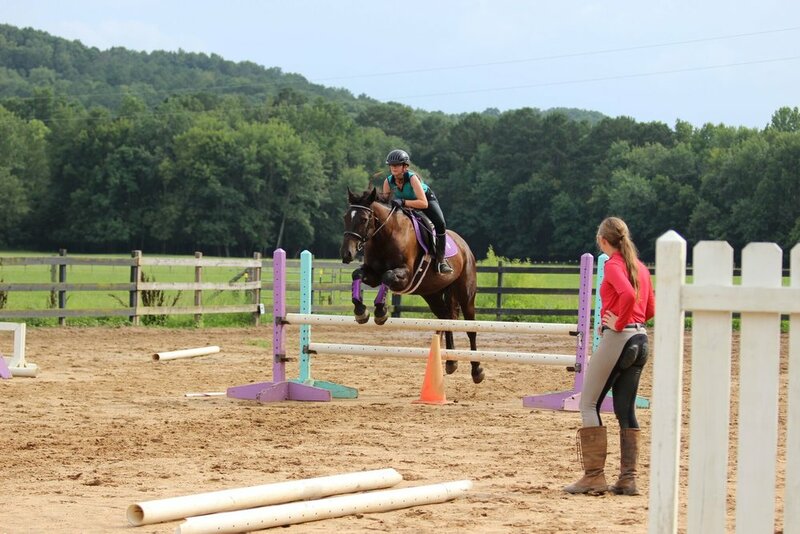 Students will build a strong foundation for riding and horse care in a safe environment while having fun! We welcome beginners through advanced riders, as students will be broken up into groups according to their skill and experience level. Greenridge Equestrian Center is offering a number of summer camp options for 2018. All Levels Camps are $325 for the week; one day of camp is $60. The price for Advanced Camp will be determined at a later date. All camps are scheduled from 8:00am - 1:00pm. Students need to bring their own lunch each day. Beginner and Intermediate camps will have a camp show on Friday to showcase what they learned to family and friends. Reserve your spot now! You can pay online using the the link below. Or, if you prefer, you can reserve your spot in one of our 2018 Summer Camps by send a $100.00 (per student/per camp) deposit to Greenridge Equestrian Center, PO Box 2, Emerson GA, 30137 or by dropping your deposit off at the main barn at GREC. Please put the date of the camp you are interested in on the check! What kind of skills will you learn at camp? Intended for ages 10 and up, our advanced camp is tailored for those who are able to walk, trot, canter and jump at least 18". This camp will be geared towards the three phases of eventing and preparing for an actual 3 phase show. On Friday the campers will be taken to a local farm to do some cross country schooling. The campers will then compete in a 3-phase schooling show on Saturday, if scheduling allows.